The Oak Ridge Student Art Show of Spring 2016 was an exhibit of art work from nearly every student at Oak Ridge School last school. 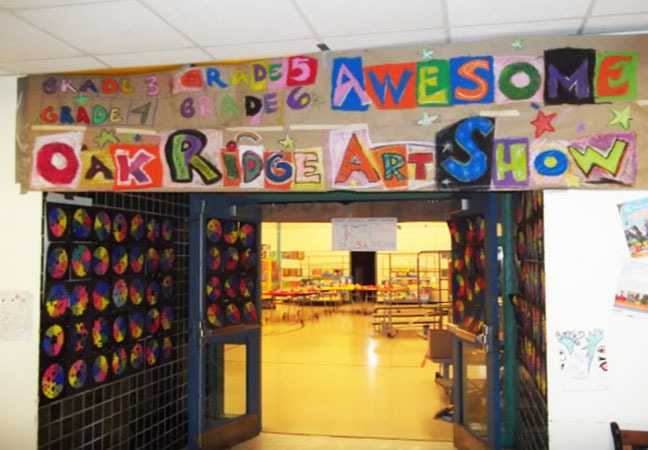 This show marked the end of the first year of the new configuration, Grades 3 -6 at Oak Ridge, and reflects the great variety of work made in Graphic Arts, Grades 5 & 6, and the wide-range of art projects made in Grades 3 & 4. Click here to see a slide show of student art! This show will be followed up by two more shows for the 2016-2017 school year. The first is planned for late February 2017, and the later one in late May. We hope you enjoy the beautiful array of these young artists.